It's a good Marathon ..Nice route ... Cheering voulanteers.. Mumbai Local peoples.was very supportive... At the end of Marathon nice and healthy breakfast. Sixteen years ago, India was a spectatorial nation and participative sport such as distance running, was a far thought. The year 2003 saw Anil and Vivek attend the London Marathon. That experience was an endorsement of their dream, it helped unfold the power of sport right in front of their eyes. The rush of the legs, the pulsating heartbeats, the vibrant positive energy and the smiles on that finish line, were symbolic of each participant’s triumph. An unforgettable event, it left an indelible mark on the brothers. And thus, began the journey of The Mumbai Marathon. It wasn’t easy, but the belief and support from the Government, all partners and stake-holders, has stood the test of time. Mumbai Marathon’s journey for the past 15 years has been transformational - from starting a fitness revolution that has spawned over 1000 road races in the country, to creating a springboard for Indian long and middle-distance runners; people coming together - beyond politics, religion, race, colour, - a beacon of humanity and compassion for the nation and the world. Today, the Tata Mumbai Marathon is amongst the top 10 marathons in the world and has truly put India on the global map of distance running. The USD 405,000 event has six different race categories - Full Marathon (42.195 kms), Half Marathon (21.097 kms), Dream Run (6.6 km), Senior Citizens Race (4.7 km), Champions with Disability category (2.1 km) and a newly added Open 10K run. 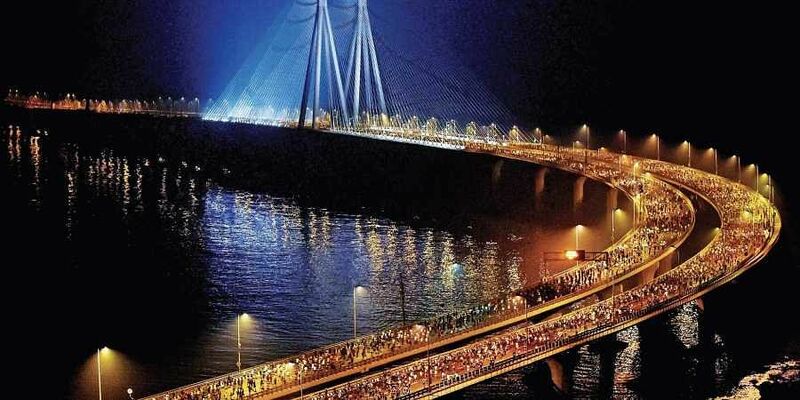 Over 46,000 participants including amateurs, fitness enthusiasts and the world’s best distance runners, take to the streets of Mumbai on the third Sunday of January every year. The event is not only the biggest participative sport in the country, but also the single largest fund-raising platform for Civil Society Organisations. Since its inception, the event has raised in excess of INR 266 crores benefitting over 700 NGOs, supporting myriad causes and helping millions in our society, live a #BetterTommorow. 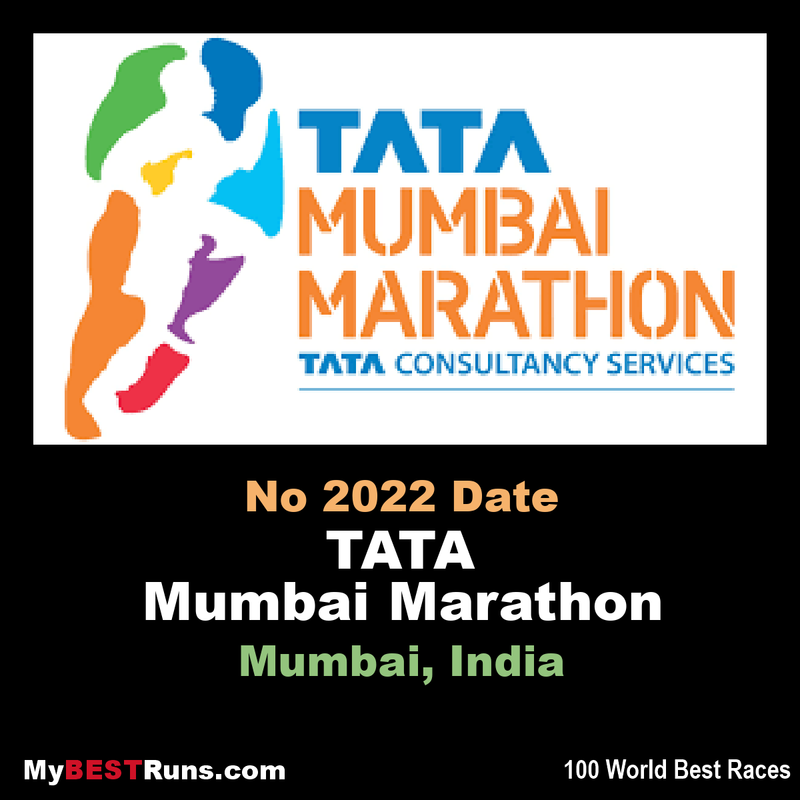 Tata Mumbai Marathon has never been about just running…. It is the Possible Dream! 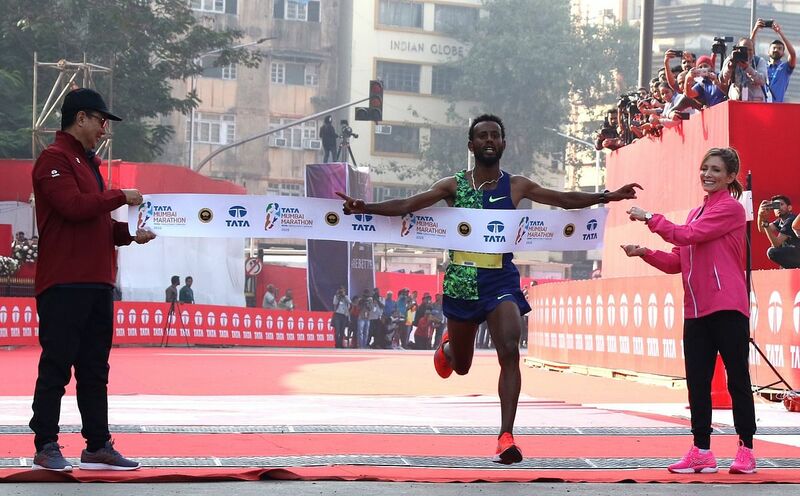 Cosmas Lagat of Kenya and Worknesh Alemu of Ethiopia surprised pre-racefavorites to win the men’s and women’s crowns respectively in the Tata Mumbai Marathon Sunday (Jan 20).They shared in the $405,000US of prize money. Lagat, winner of the Sevilla Marathon in 2016, made the marathon in this coastal city his own over the last 10k to storm home in 2:09:15, the second-best time in the 16-year history of the race. The course record of 2:08:35, made in 2016, justbarely survived as the long-legged Lagat’s onslaught after he left behind all his rivals. In second place was Aychew Bantie of Ethiopia in 2:10:05and Akalnew Shumet, also from Ethiopia, took the third spot in 2:10:14. The man with the best time going into the race, Kuma, finished seventh in 2:13:10 after he was with the lead bunch of 10 runners, including some pacers, on the sea link after 19k before the bunch split up. The women’s race Ethiopian Alemutook chargewith 12k left in the race. She came home all alone well in front of the others, including pre-race favorite, compatriot and defending champion Amane Gobena, in 2:25:45, which was outside the course record. Gobena came in second in 2:26:09 while another Ethiopian woman, Birke Debele, was third in 2:26:39 to mark a clean sweep for the African nation. Significantly, India’s Sudha Singh finished on top among the Indian runners while setting at a personal best of 2:34:56, but also dipped well under the qualifying mark of 2:37:00 set by IAAF for the September-October Doha World Championships. Singh, a 3,000 m steeplechase specialist and winner of gold and silver medals in two Asian Games, finished 8th overall, ahead of former champion Dinkesh Mekash of Ethiopia who finished in 9th spot in 2:36:31. Her earlier personal best in the marathon was 2:35:35 that she clocked while finishing 19th in the 2015 Beijing World Championships.